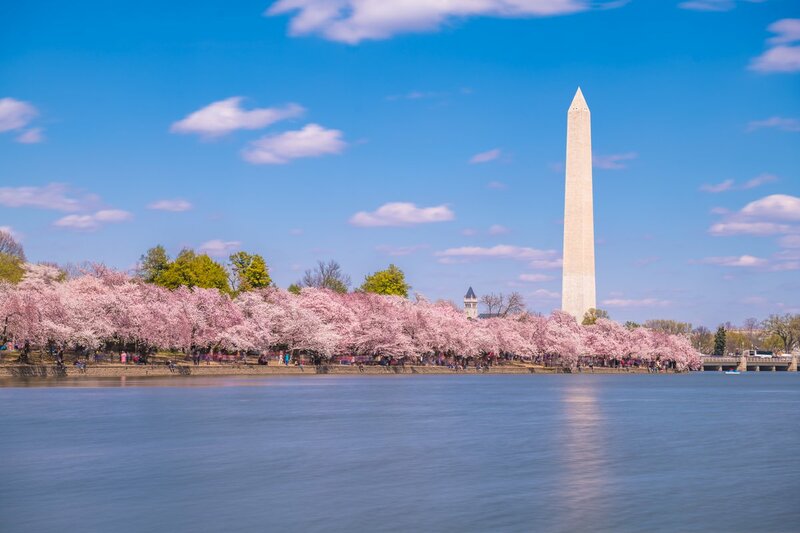 The world’s biggest privately-owned operator of open-top sightseeing tours, Big Bus Tours, has teamed up with the National Cherry Blossom Festival to offer their dedicated Pink Loop service for the festival starting March 21. This is the fifth time since 2014 that the operator has partnered with the festival. Experienced tour guides will be entertaining passengers with commentary on the history of the cherry blossom trees and their arrival in D.C. The hop on and off tour buses will run along the Tidal Basin, providing guests a closer look at the famed trees. The visitors can also walk along the Tidal Basin, taking pictures of trees, and visit the Jefferson Memorial and Martin Luther King Jr. Memorial. “The National Cherry Blossom Festival is an iconic institution in Washington, D.C., and as the authorized tour concessioner of the National Park Service, we are thrilled to be the Authorized Tour Provider for the National Cherry Blossom Festival again,” said Benoit Barraud, Big Bus Washington, D.C. General Manager. “We welcome visitors from all over the world to Washington, and invite them to see the beautiful trees from the top deck of our double-decker bus,” he added. All ticket packages will include the exclusive “Pink Loop”. The tour bus service will run every day throughout the festival that takes place between March 21 and April 14. Customers have the option of boarding at four different locations around the Tidal Basin. The duration of the tour loop is about 30 minutes, while the route is included on the Big Bus Tours Washington, D.C. brochures, also available online at bigbustours.com and the Big Bus mobile app. In addition, the “Big Bus Tours Deluxe Ticket” is offered for a boat cruise where visitors can enjoy a scenic view around the East Potomac Park.